Happy Friday! 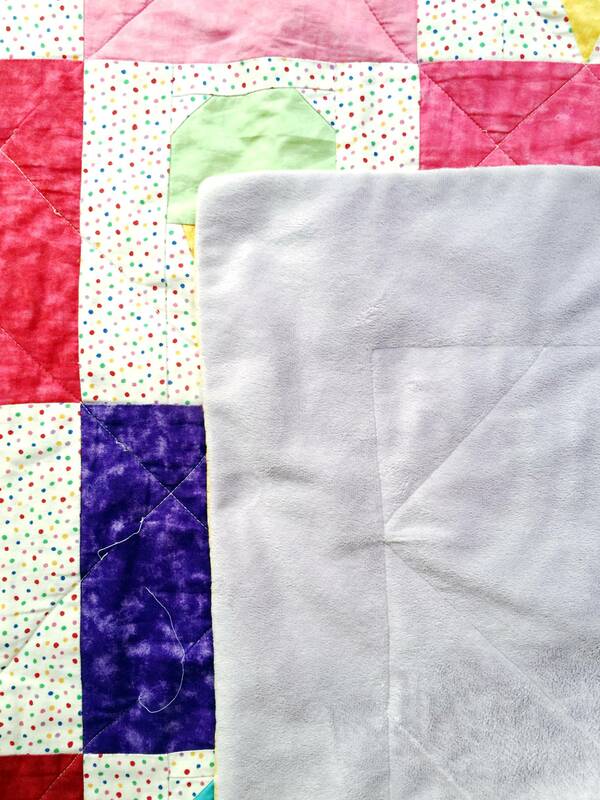 I have a few of my first quilts around my house, so I thought I’d share them on the blog! When I was around 15 (and homeschooled) my mom bought a sewing machine from Sam’s Club. 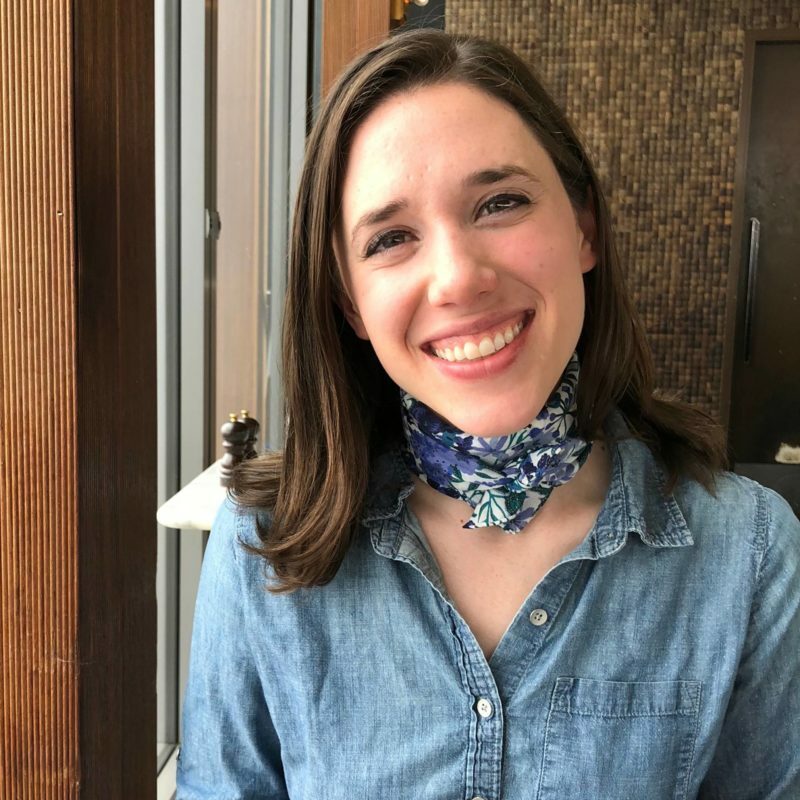 She had heard of Project Linus and found the greatest quilt pattern through their site. Without really teaching me how to use the sewing machine, she and my dad went on vacation, and I went to work on the quilt pattern. Also, I didn’t paper piece this. I cut all the small pieces out and sewed each block together: I had no idea what paper piecing was at all (and I still don’t really know much about it, but I’m trying to learn). 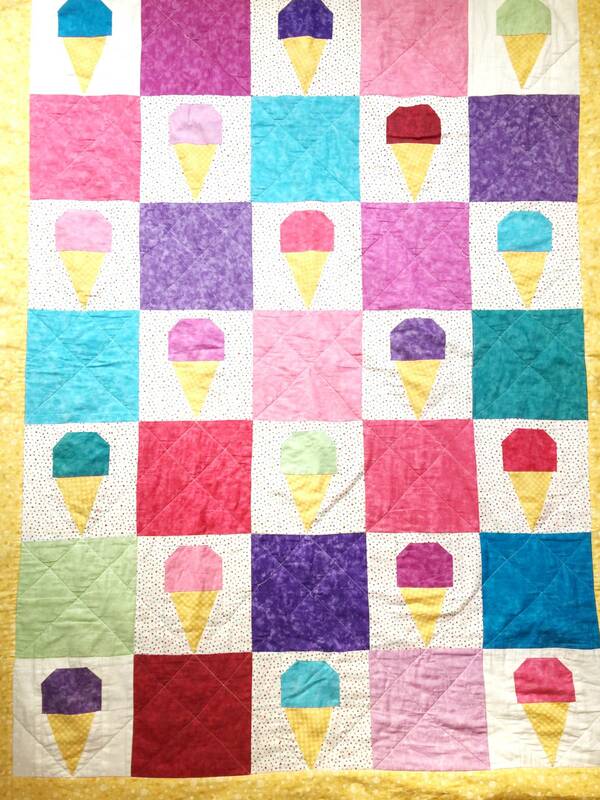 So this is really my second quilt, since the first one was donated. The fabric for the first quilt was sourced through WalMart, but by the second attempt I had found a Joann’s fabric and a local-ish quilt shop. I remember that I loved the white with multi-colored polka dot fabric. 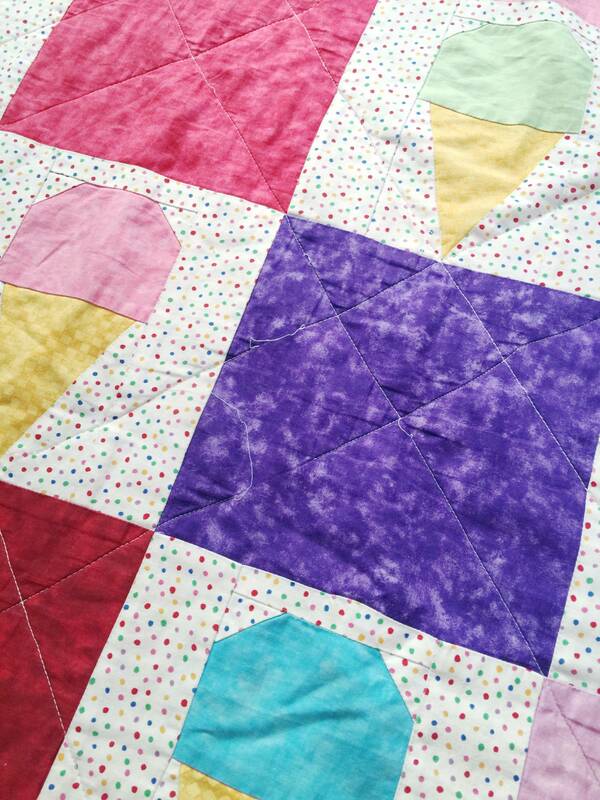 Quilting is amazing, because it really does last a long time. 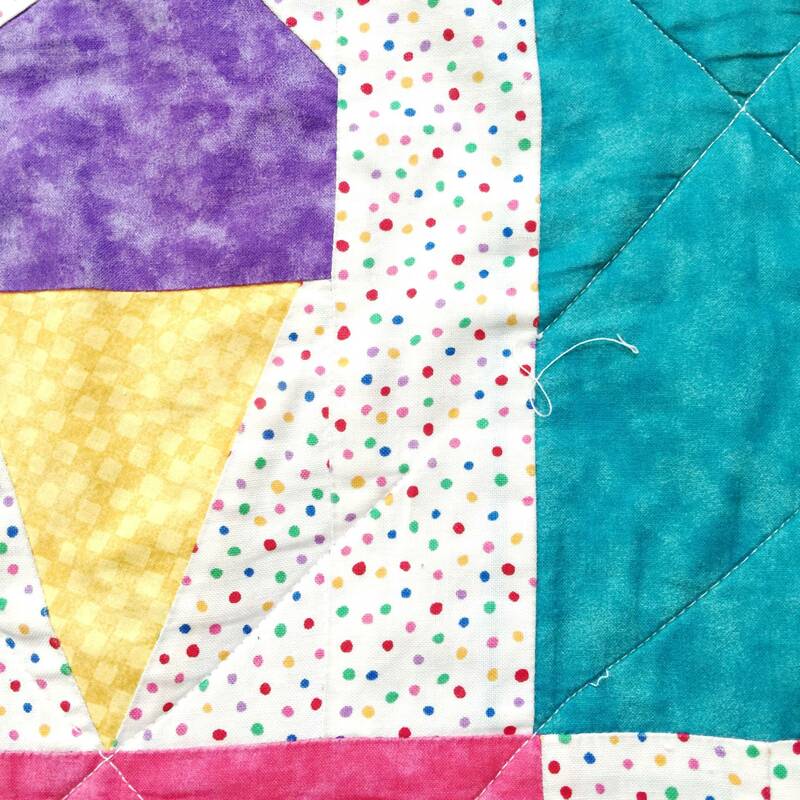 So many crafty things we make are trendy or disposable, but quilts last for years! Some of the threads popped on this one, so I should probably work on re-stitching a few portions. Just to ensure it lasts another 10 years! The minky backing is everyone’s favorite thing, and it is really soft! 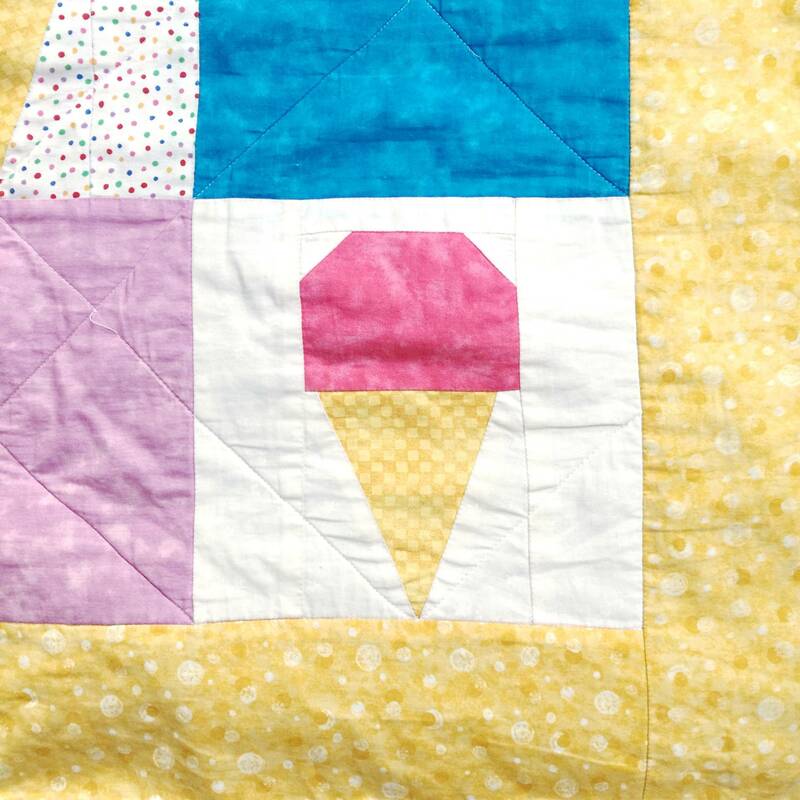 Here’s a link to this free 10-year old ice cream cone pattern, Single Scoop by Quilt Maker Magazine. Next Post We went to Mood!